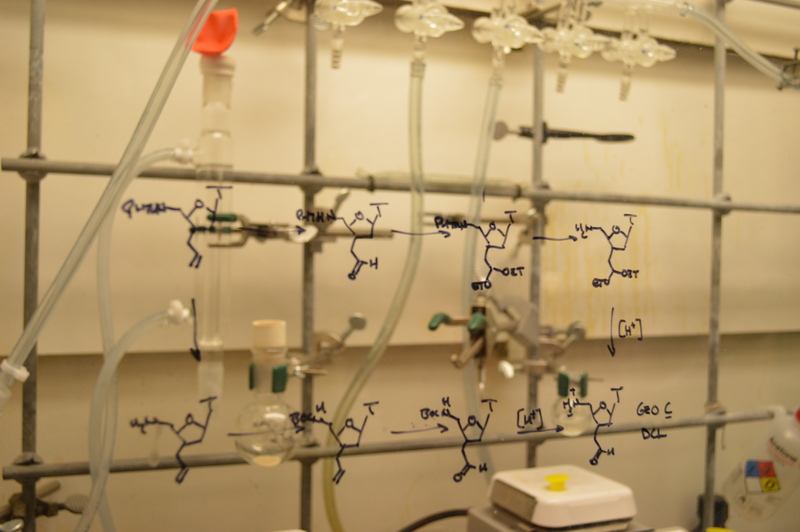 Put molecules together in a flask, and it can be hard to predict just what you're going to find. In this post, guest blogger Ari Daniel Shapiro explores the concept of emergence which can be present in the highly technical and evolved and the ordinary. Imagine something you use everyday – like a metal fork. It is cold and shiny. But where does its coldness and shininess come from? It is comprised of countless atoms – atoms that, on their own, are not cold and shiny. But bring those atoms together, and something rather different emerges – your fork. We encounter this notion of emergence everyday. Take a colony of ants. While the behavior of one ant is interesting in itself, as a group, the colony creates remarkably intricate patterns driven by some kind of underlying force or directive that we cannot see. It is the same with chemistry. Scientists are learning more about the forces that control atoms and molecules with the hope that one day they can take advantage of them to build useful materials. Once we understand what drives molecules to behave the way they do as a collective, we might be able to harness those organizing principles to design intelligent materials that might, for instance, be able to heal themselves or capture solar energy. In this audio story, I chat with scientist Jay Goodwin about how he has noticed emergence everywhere he has looked – from a flock of birds (check out the video to see what I mean) to the chemistry he does in the lab. As you and your students will hear, emergence is everywhere. Watch this video that provides an example of murmuration referenced in the piece.